Jura put its brand power into an ultra-compact one cup espresso machine. The newest addition to an award-winning line of automatic coffee centers, the Jura ENA Micro 1 provides a true bean-to-cup experience. 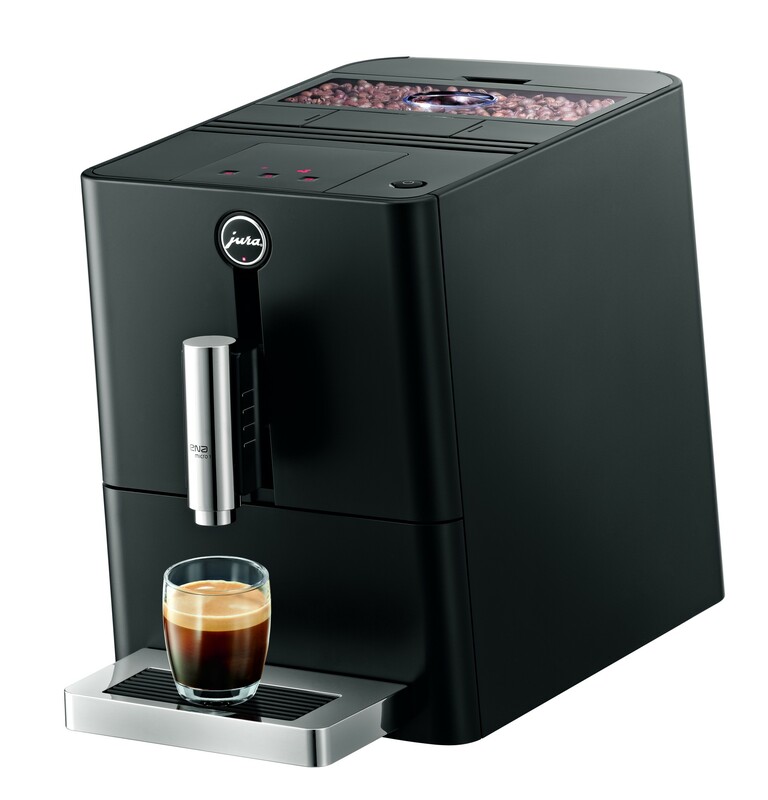 The Jura ENA Micro 1 is an eco-friendly alternative to pod and capsule machines for making the perfect cup of espresso or crema coffee. 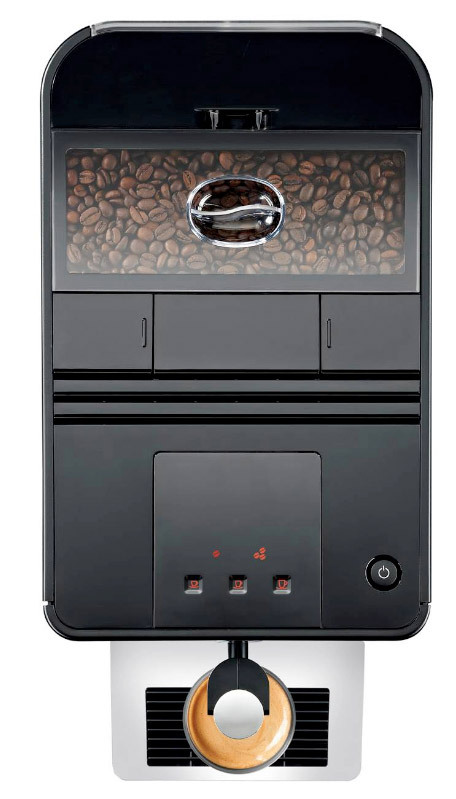 The Jura Micro 1 features a multi-level grinder, micro brewing unit and powerful pump to make the ultimate espresso. 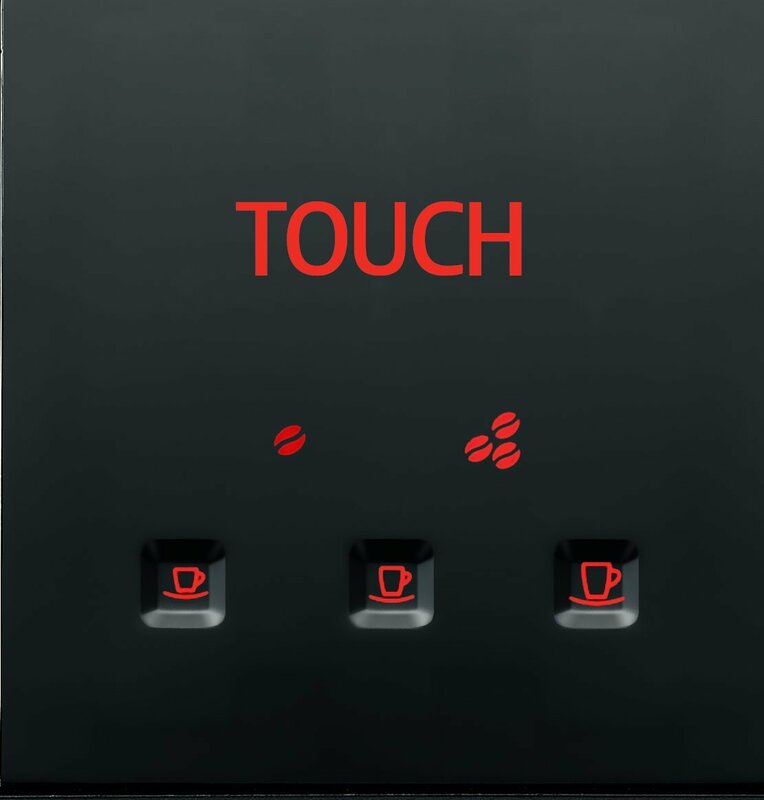 Making a great cup of specialty coffee is as simple as choosing one of three cup sizes and two aroma levels on the touch panel. Go from selection to sipping in minutes. 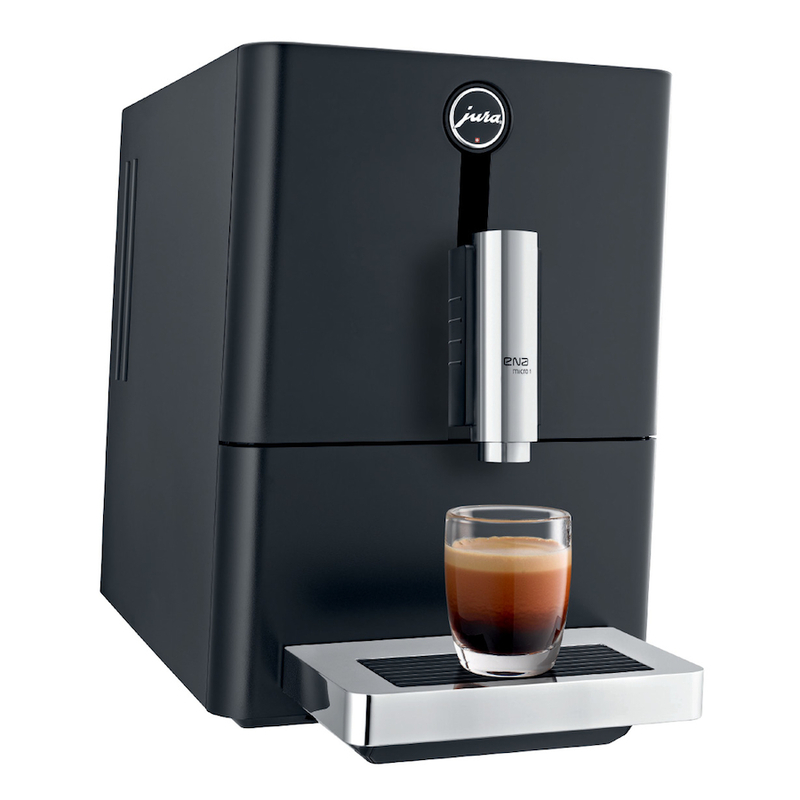 Measuring just nine inches wide, 12.7 inches tall and 17.5 inches deep, the Jura Micro 1 is an ultra-compact model with the precision brewing of larger machines. The Jura Micro 1 switches into energy-saving mode automatically to reduce power consumption. It can be programmed to switch off at a pre-determined time and a patented Zero Energy Switch to boost its energy efficiency. This machine gives me a rich smooth cup of coffee every time. I like the freshness of just ground coffee without the work. Thanks Jura! 2 cups at once, so this model suits us fine. Hope this will last another 15 years. I bought this for Christmas present for my husband who drinks a lot of coffee, This way he won’t have to keep warming his coffee in the microwave . Based on a recommendation from my brother also an avid coffee drinker. Powerful pump rated to produce 15 bars of pressure. Reservoir Size - 37 oz.